Kagiso Rabada is a South African spear-head who plays all formats for his country and is ranked at the top of the list when it comes to fast bowlers. Rabada goes by the nick name of KG and represents Highveld Lions as his domestic team. Indian Premier League is all set to be in action from April 7 and Delhi Daredevils who have always relied on their pace bowling attack received the shocking news of Rabada’s injury. The express fast bowler suffered a back injury that will potentially heal in about 3 months. Rabada was named Man of the Series in the recent test series against Australia. The fast bowler was all geared up to play for Delhi but playing 4 tests in South African summer is no joke. The fast bowler gave it all in the series but that resulted in his injury and he will miss out IPL 2018 completely. Delhi Daredevils had retained the pacer as they used the Right to Match Card on the fast bowler for a whopping INR 4.2 crores. But after the bowler felt some discomfort and tightness in his backbone, subsequent scans were done which highlighted the injuries. 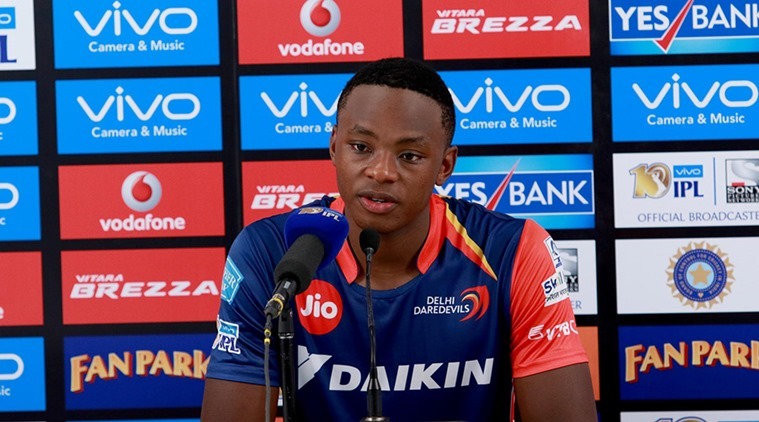 Now after Rabada’s exclusion from the league Delhi has to find his replacement after it is approved by the IPL technical committee. Delhi is faced with a dilemma? Who should they pick instead of Rabada? You are welcome to help Daredevil solve it? Scroll down and give your suggestion in Comment section.